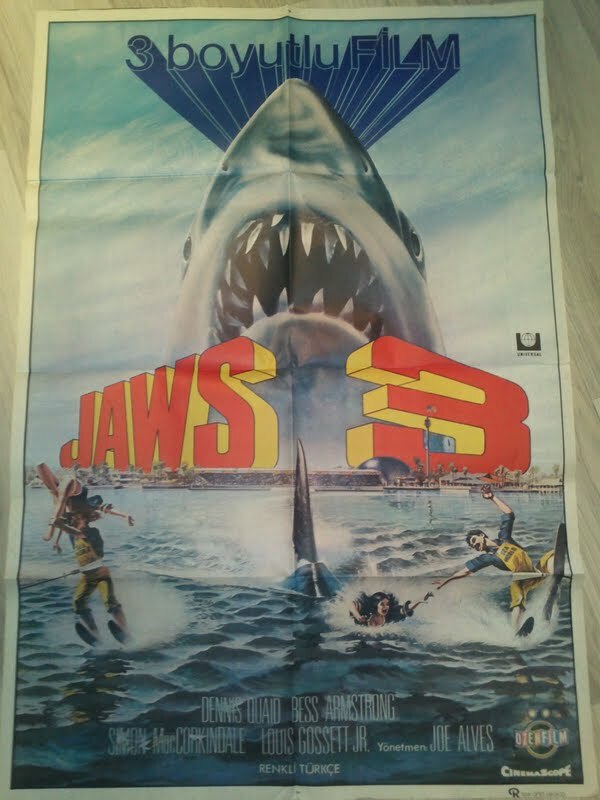 Partager la publication "Affiche Jaws 3D (Turquie/1983)"
In Brazil the poster used as cover art of the CIC Video VHS was an alternate/redrawing of the original poster. i’m not sure if it was used for the theatrical release. You can find it at this site http://filmow.com/tubarao-3-t6361/ (one of the two images) – you can see that the water and the shark arev clearly different.